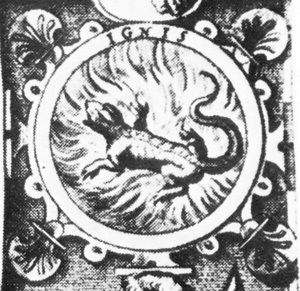 Hrabanus Maurus writes, ‘Six is not perfect because God created the world in six days; rather, God has perfected the world in six days because the number was perfect.’ In terms of the parallel conception of the Creation and the Opus, might the six-legged salamander be intended to symbolically transcend the quadruped specimen? Or am I overheating the concept? Thanks Paul, for your thoughts on this and also the quote from Hrabanus Maurus. 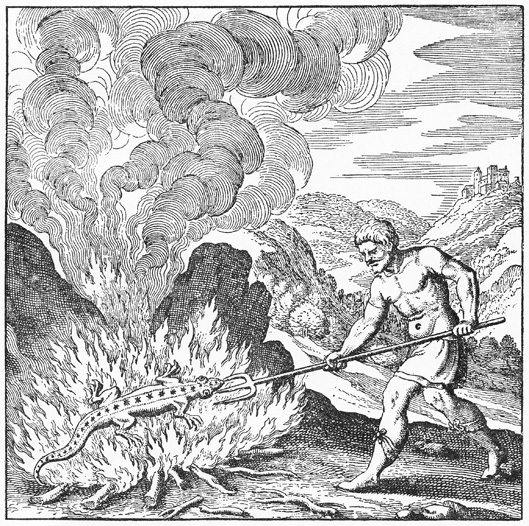 For me, I’m still wondering where it was that Gettings saw a six-legged salamander illustrated as the symbol for Fire. In which text/s? 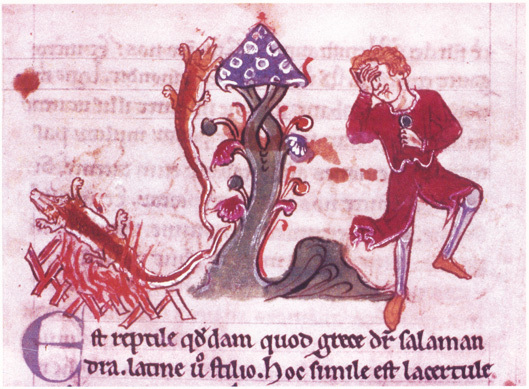 I have never seen such an image, and while not doubting that six-legged salamanders have been depicted somewhere in the vast literature, I simply want to know where. Specifically. I share your curiosity. I’ve never seen any ‘hexapodal’ salamanders either. I’m prepared to believe that Gettings did see them, somewhere, but it would certainly be interesting to know where. There are numerous alchemical references to ‘6’ when one starts looking for them, the most obvious being the hexagram of Fire and Water. The 10th century brotherhood Ikhwan al-Safa also speak of six as, ‘the first perfect number, and ….. the most eminent of forms is that which is composed of six faces.’ Thus bringing in the hexahedron; the Earth in which the divine spark is imprisoned. 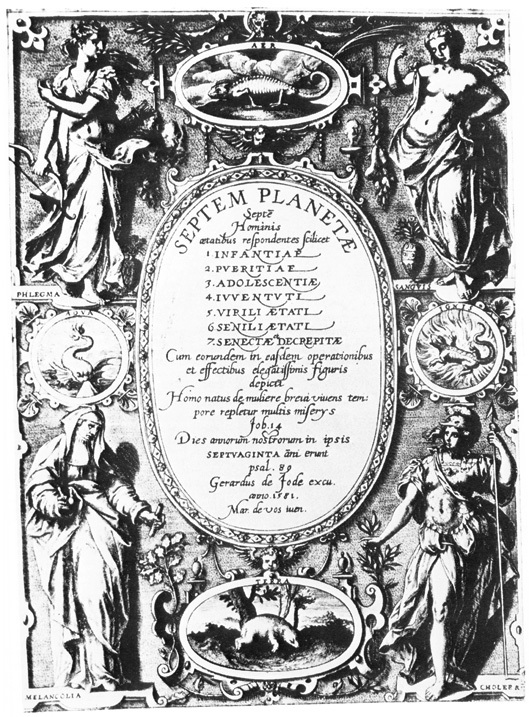 Further, the Star Regulus of antimony was also regarded as possessing the qualities of six, as indicated by its six-rayed star symbol. In their Occult Chemistry (1908) Leadbeater and Besant speak of ‘six constituent little bodies’ making up the hydrogen atom, ‘forming two triangles that are not interchangeable, but are related to each other as object and image.’ Clearly those elusive little six-legged salamanders were in on some interesting secrets. Thanks for your speculations regarding the possible symbolic relevance of the six, Paul. Will investigate all you mention and perhaps pick up some of these threads in later posts. Please keep your eyes peeled for a direct example of / reference to a six-legged salamander. 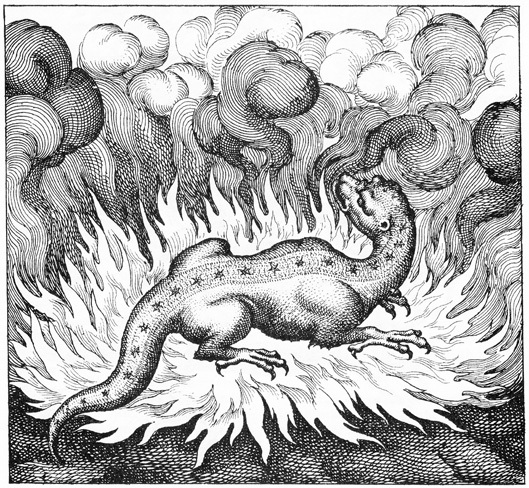 Rae, would you happen to have any references to this myth of the salamander (i.e. glassblowers / lampworkers)? We aim to collate all such myths and share them here in later posts. This was a story that I recall from my youth, something based in Jewish Midrash that was told either at a family gathering or perhaps when I was at Temple some time as a child, and I don’t have a formal reference for it. This gives us some leads to pursue, Rae … gratitude. Not by accident, was looking for a source for the image. 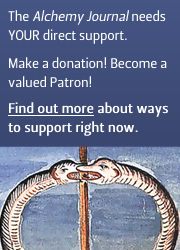 Finally contacted Bodleian and received a very quick response from a Dr. Barker-Benfield. He also added this: “the manuscript’s possible St. Albans provenance suggested there (based solely on stylistic considerations) is nowadays rejected, with a vaguer ‘Southern England’ suggested instead”. Needless to say I was impressed and delighted by the response!